Perhaps you’re a MAHA member, looking for news about what’s going on around the neighborhood. Or maybe you’ve recently stumbled across our historic district—online or in person—and you’d like to know more about this hidden gem of Minneapolis. Either way, we’re glad you found us. We’re a 78-member homeowner’s association. Forty-five of our residences are within the Milwaukee Avenue Historic District which is listed on the National Register of Historic Places (NRHP). Here’s a link to the original NRHP nomination form. It is also, of course, a former public street lined with residences, most dating back to the 1880s and others as recent as 1977. We invite you to stroll down the pedestrian mall, enjoy the tranquility of our close-knit community, take in the architectural features of our historical worker’s cottages, and visit local shops, businesses and restaurants. Take a look around. Stay a while. We hope you’ll find what you’re looking for. 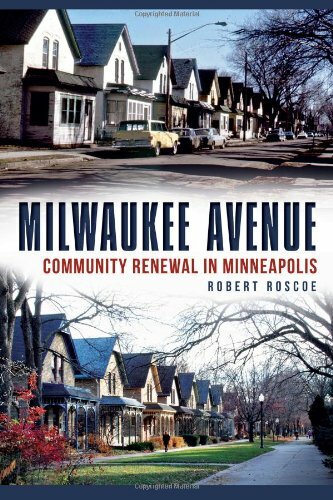 If you’d like to know more about the details of the area and how it came to be, read the new book titled Milwaukee Avenue: Community Renewal in Minneapolis by Robert Roscoe, available at bookstores or on-line at Amazon. Milwaukee Avenue Homeowners Association © 2019. All Rights Reserved.